Sea Dreams Cruises has a long history on the island’s shipping and excursions scene. Since 1960 our vessels were sailing to Symi Island, when in 1994 the company established the fully organized cruises to the island and Marmaris. Always in the front row of offering the best cruise experience in Rhodes, the company also has the unique advantage of owning its fleet of ships. This enables us to control and maintain the highest of standards for all our clients. The Sea Dreams ships also hold the I.S.M (International Safety Management) certificates, which ensure that our clients and crew are in safe hands when traveling with us. The philosophy for the company’s continuing success is best summed up in the company mission statement: To enhance our customers’ holidays by providing a variety of value added holiday destination “discovery” experiences, and an on-going commitment to excellent, reliable service. More than 150,000 visitors of Rhodes choose to travel with the services of Sea Dreams to discover the beautiful destinations of Symi Island and Marmaris. We do offer the best available prices and we are proud to work with: TUI, Thomas Cook, Appollo Travel, Als Tours, ITS, Vesir, Crecos, Itaka etc. 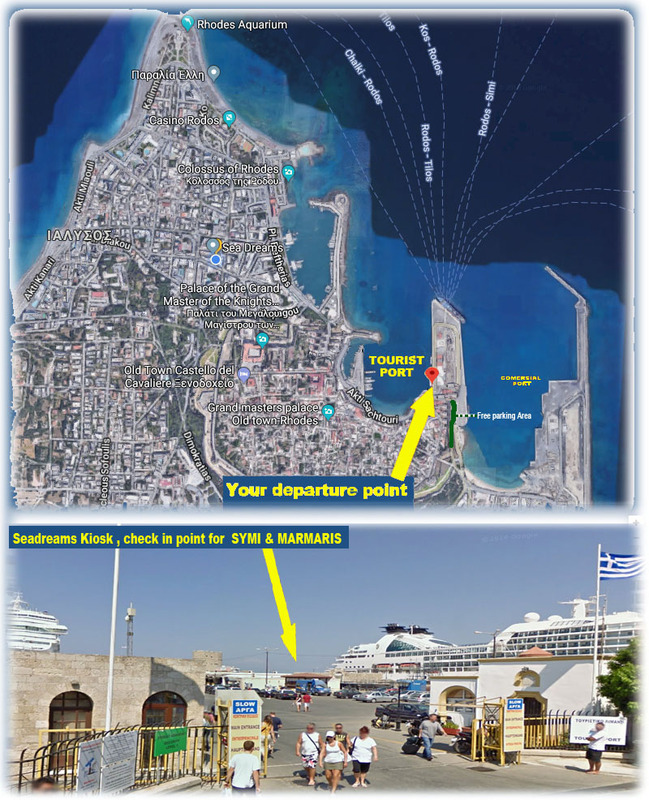 Tourist Services Info: In Sea Dreams Cruises we also offer tourist services as ticketing for your individual trips to Symi and other destinations in competitive prices and we will advise you on all your trip’s details.